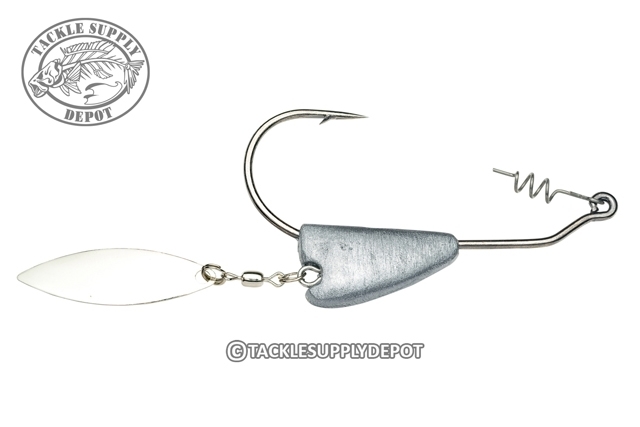 The Tour Grade Belly Blade is the perfect way to add flash to your soft plastic lures. It has a premium black nickel needlepoint hook with a stainless steel corkscrew keeper to rig the nose of your bait to for a streamlined, weedless presentation. Connected to a ball bearing swivel is Strike King's exclusive high RPM Raz-R-Blade that spins fast for more flash with less lift. The Tour Grade Belly Blade works great in open water on a steady retrieve as well as around shallow cover. Try one, you'll see why it's worthy of a Tour Grade title!